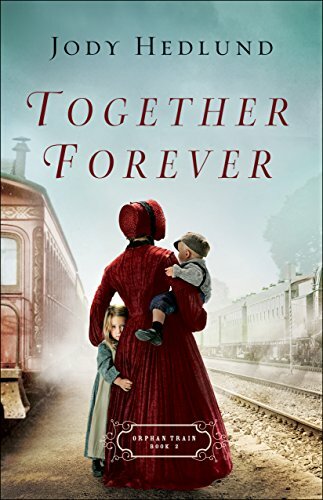 Last spring, since reading With You Always by Jody Hedlund, I have been anticipating the release of Together Forever, Book 2 in the Orphan Train Series. This series tells the story of children who were either orphans or from families who could no longer care for them. The financial crisis in New York, 1857, left many factory workers in dire straits worse than the tenement lifestyles we can only imagine today. Living on the streets was dangerous and many safeguards today were unheard of then. Charles Loring Brace founded the Children's Aid Society in 1853. This was an incredible movement and many children placed with families went on to live lives that would have been unheard of had they stayed in the poverty that laced the streets of New York City. It must have been frightening for the children who rode the train to new homes and families. Placing agents, like Andrew Brady and Marianne Neumann supervised all aspect of the journey from the preparing for the trip, supervising the ride, placing the children with families and checking in with them at a later date. It must have taken a special person to be an agent and I believe Marianne and Drew fit that role well. Marianne and Drew both had secrets from their past that they were reluctant to share with each other. It is only with the realization of true love that one can relinquish their fears only to discover that those who love us can do so without reservation. It is within that safety net that understanding and faith for the other reside. Drew was indomitable in his pursuit of her. No reminders of her implied engagement to Reinhold could dissuade him. He was falling for her yet he wouldn't tell her because he just knew he was unworthy of her. He believed his past, once she found out, would stop any chance he may have had in winning her heart. Marianne admired Drew. He was a wonderful agent and had such a way with the children, especially the older boys, who could easily get under her skin. It wasn't easy to be a young woman who was not much older than 15 year-old Liverpool. He was hardened after living on the streets since he arrived in New York alone at a tender age. He knew he could get to Marianne and it was Drew who stepped in and kept the young man in check. She could easily fall for Drew, a handsome, capable man, but she reminded herself often that she took her job with the Children's Aid Society solely to find Sophie. Besides, if he found out that she had "lost" Sophie he wouldn't want anything more to do with her. She was determined to concentrate on the children she was responsible for as her job as a placing agent. The children came first to both of them. It is only when tragedy strikes and one of them is on the line with responsibility, they find more than anything just how much they were united through the children. In a surprising turn of events, Marianne proves much stronger than I would have guessed. She reached an independent maturity that helps her rise above what she perceives are her dark past. I recommend Together Forever with 5 stars. The writing is what I expected from Jody Hedlund. Her research is thorough, and her characters are well developed and come alive. My heart was with the children who expressed their fears and delights. The wit between Drew and Marianne was filled with humor yet they were very intentional in other aspects of their roles as agents. Their story and the story of the children riding the train is worth reading! 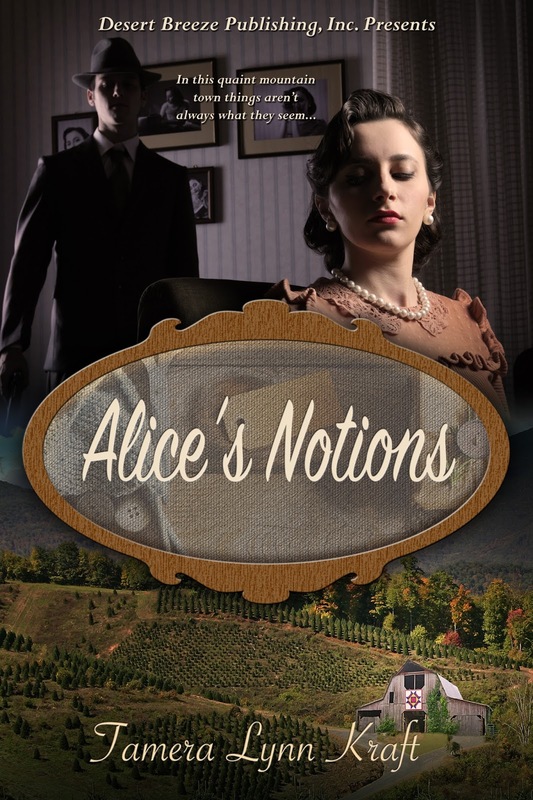 I enjoy a good mystery and Alice's Notions was fun to read. Poor Alice went through quite a bit in this roller coaster ride in the early days of the cold war. She was a war widow, who opened a quilt shop to bring about community in her small town. A quilt shop seemed just the thing she thought other women would enjoy. A place to gather, sew and find all the notions and fabric they needed to create comfortable homes. At one of her first sewing circles she mentioned an idea for a quilt block tour. On the tour, the participants would paint a quilt block on their barn. They could make it a community event and invite people from other towns in the area. The ladies in the circle thought it was a wonderful idea. She never dreamed, however, that there would be resistance from others for both the shop and the tour. The book was definitely a sign of post war feelings, including prejudice against German people immigrating to America. Alice herself felt prejudice against Greta, a displaced young woman from Germany who knocked on Alice's door as part of a program Alice signed up for. She had no idea she would get Greta....her husband was killed in Germany and she just didn't think she could house or employ a woman from Germany. Her landlord Rick had prepared a modern apartment above shop for Alice filled with all the modern conveniences. He took many opportunities to let her know that women should not be owning businesses when men had returned from war and needed to resume their positions as the breadwinners. As a widow, this was no small annoyance. He was a well to do man about business but she had no idea what that business could be. Others around the circle included, Lois, who was married to Alice's lone brother Pete. Lois was an interesting figure who hadn't bargained for life in the back country, complete with wood stoves for cooking and an outdoor privy. The Toliver's were such a helpful couple and the Mrs. was a bossy woman who would take over the Quilt Barn Tour....but things just weren't as they seemed and Alice found mystery after mystery as the community event drew near. Could she keep this event from being shut down before the big day? Could she trust these people who seemed to want to sabotage this event? It was fun to read this story, set in a very interesting time in our history. Alice was a wonderful heroine and she had a hand in an incredible mystery! I recommend this to the reader looking for a different type of mystery, it will keep you turning pages...you will just want to know what happens next! From the first page I could feel for Eva Lapp. Her life took so many unsuspecting turns and yet she was open to almost everything. She was the subject of gossip for things she didn't do, she loved Jake Miller even when she shouldn't and wasn't quite sure she was ready to be thrust out of her home when her brother's family moved into the big house. She could have fallen on her face several times yet recovered with the help of new friends who took her for who she was and could become. In the midst of being hired to manage a restaurant instead of working with plants, she stood her ground and learned not just her job, but how to work with people she never would have associated with before: Stephen, a handsome Mennonite man and Beatrice, an Italian Catholic who seemed to be everywhere and know just about everything. In the middle of finding her way in her new life, there was Jake Miller, her long time love who just seemed to be everywhere fumbling with her emotions. Would he return to the community and join the church? Would Eva join the church or find another life with Stephen? I think it is a good omen when I like the first book in a series so well that waiting for the second book seems like a long time. When I picked up A Letter From Lancaster County by Kate Lloyd, I knew I would enjoy it based on reading her other works. Starting From Scratch kept me up reading two nights in a row. The characters were well developed and I found myself trying to help Eva decide the path she wanted to take. I rooted for Stephen, yet Jake was determined. As she battled within her mind, I was excited to see the unlikely friendship developing with Beatrice, who was old enough to be her mother. These characters make the story richer. This coming of age story is not just about Eva and Jake. It is filled with other people who grew once Eva started working at Yoder's Nursery Cafe. Kate Lloyd is a master when it comes to delving into the heart of a matter. I recommend this one without reservation! It is fun to just kick back and read. I seem to have become my mother in this respect, something I didn't expect. She was always reading and wanted all of us to share her love. We were taken to the library often by either mom or dad. Ironically, I didn't read as much for pleasure then. Why bother when she often read aloud to us. Chapters a night of Pollyanna or other chapter books....or favorite children books. I am amazed when I look at my book list on Goodreads I am nearly a third away from my goal of 150 books for the year. I just finished reading Alice's Notions by Tamera Lynn Kraft, which I will review later this week. I have been listening to several audio books as I work around the house. We recently finished a major remodel in our home and listening to a book is a great way for me to stick with the process of purging unnecessary items from closets and drawers gathered over so many years. It is amazing how these things accumulate. 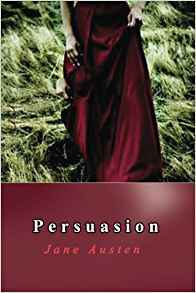 This week I went back to a favorite and am listening to Persuasion. The wonderful Anne Elliott and Captain Wentworth! 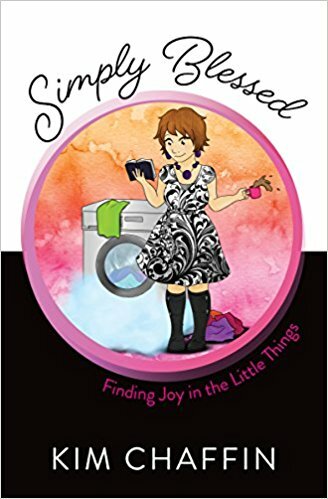 My daily reading also includes Simply Blessed: Finding Joy in the Little Things by Kim Chaffin. I have been looking forward to reading this thirty day study each morning. In my childhood I much preferred all the joys of running around the neighborhood with my brothers and sisters. Whether digging forts, riding bikes, jumping rope or playing hopscotch, reading took a backseat. How different from today with video games and busy soccer schedules. I savor my reading time. Sparks fly as the two go head to head over the fate of the lighthouse. But when they start to cooperate, a different kind of fire ignites. And as they work together, might Hope Harbor heal the hearts of these two romance-wary souls. I looked forward to this book for many months and it lived up to my expectations. It took me back to the coastal town of Hope Harbor and many of the characters I loved in the first two books of the series. Although they got off on the wrong foot, newcomers Ben Garrison and Marci Weber fit right into the small community. 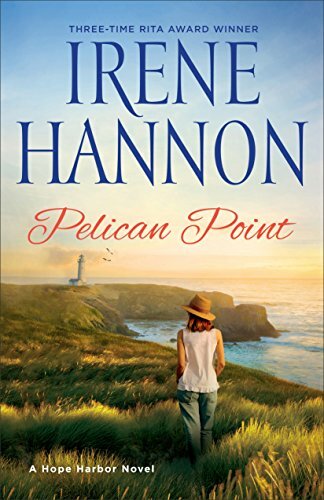 Both of them had plans that didn't include a romance yet they continued to connect on many levels, especially when it came to the Pelican Point Lighthouse. Pelican Point, a landmark that was slated to be purchased by a wealthy developer was probably going to be demolished in favor of a sprawling development. Irene Hannon is a master when it comes to character development. She takes on challenging issues and shows us how a little faith can make a big impact on the lives of those she intertwines within the story. Greg is a young, disabled veteran who moved back to Hope Harbor with his wife Rachel. Bitter after an I.E.D. attack took his leg, it seems as though life couldn't get any worse for them. For Rachel, life with Greg wasn't what she dreamed of when she left home to marry her handsome soldier. One constant in all the Hope Harbor books is Charley, Fish Taco stand owner extraordinaire. He silently observes everything about the community and is a quiet force who makes his customers think of things that may seem unconnected, yet as they walk away his wisdom radiates. If I have to have a favorite character, it has to be Charley because he seems to be that still, small voice we often hear when we aren't ready to listen. Even though I don't eat fish tacos I would willingly try one just to meet Charley. 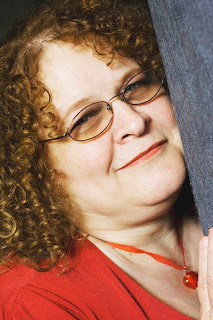 Best selling author Irene Hannon is a three-time RITA Award Winner. If you have ever read her books you know why. Whether it is the coastal Hope Harbor series or perhaps a thriller such as Dangerous Illusion in her Men of Valor series you will be hooked into the story right away and be looking for publication dates for the the next book in the series as you turn the last page. If you enjoy a good romance with a nice coastal village setting, this is for you. I recommend this book with 5 stars as the Oregon Coast beckons within the pages, and you will almost hear the seagulls calling. This is not the first book I have read by Susan Anne Mason so I wasn't surprised to find myself easily getting into the story. Her style is engaging and her characters are well developed. I found Nolan interesting because even as a stable hand he wasn't unhappy in his circumstances. He worked hard and had solid plans to forge a wonderful life with the woman he loved. He was an easy character to like because he thought of others and how he could improve their lot in life. The determination of Hannah was also inspiring because she was adamant that she would be Nolan's wife only if she were truly the wife of his heart. She would not be his wife solely as an obligation fulfilled as a result Nolan's youth, later to be regretted in his new life. 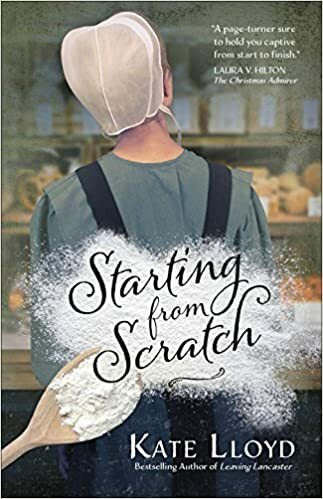 Just when the author has masterfully gotten us hooked and believing there is no resolution to new found wealth and love with the kitchen maid, the story, just as in life, takes a turn where a little faith is applied. All is not lost when a crumpled up note from Hannah's mother becomes an ace in the hole and a knock on a door produces a wonderful lifeline. Alas, one cannot give everything away but here is where the story becomes all the richer and those breaths of faith are rewarded. The outcome proves that one person, or perhaps a couple can impact the lives of many. 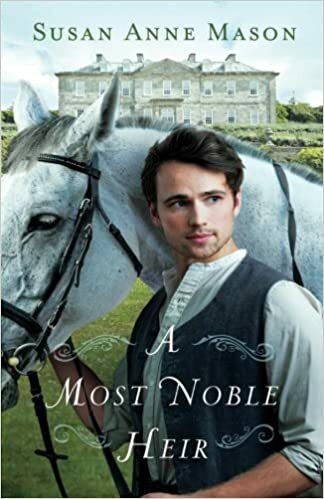 Well written with inspiring characters, I heartily recommend A Most Noble Heir for the reader who enjoys uplifting Christian Fiction.